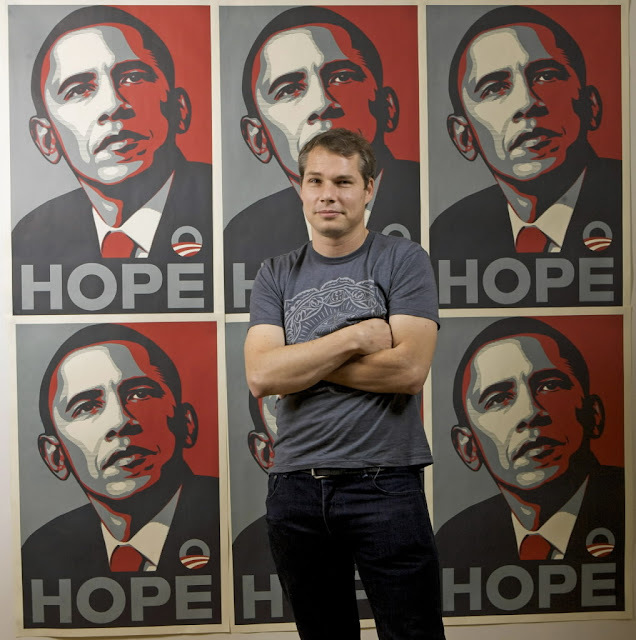 Shepard Fairey is an underground artist turned street art spokesman, actor, US presidential campaign artist, philosopher, celebrity, swimsuit model and poster-maker. 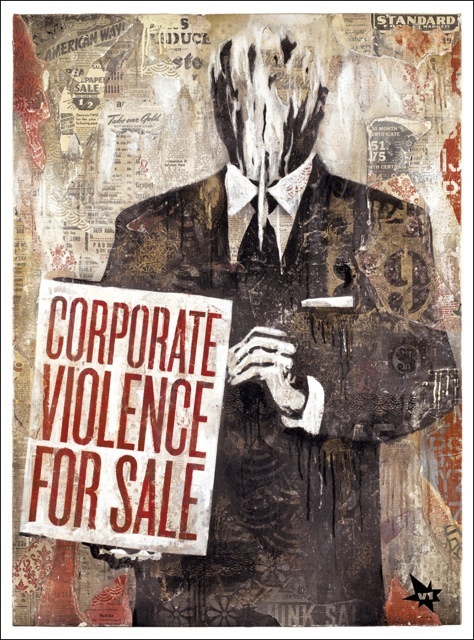 Skewville appropriated one of his well-known Obey Giant posters about two years ago, according to Vandalog. 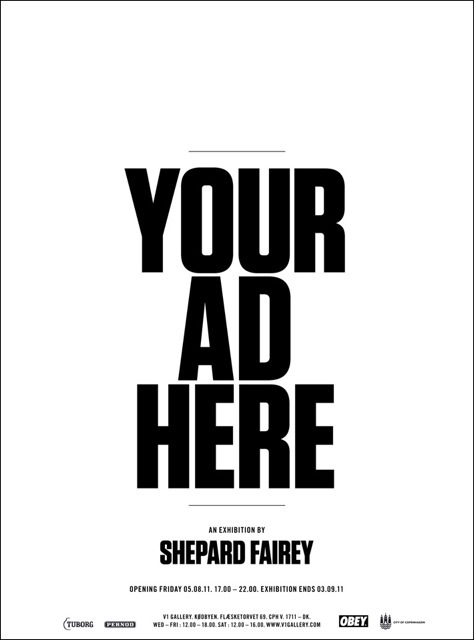 "You ad here" was placed above the poster, satirising it's mutation from an ironic image to globally recognised brand. Rather than fight back to regain street cred, which is now irrelevant to him because he is 'established', Fairey will host an exhibition called Your Ad Here at V1 Gallery, Copenhagen. Is Fairey using this as a chance to monetise an embarrassment? I would say his career development is a benchmark with which to measure street art's decline as an underground artistic force.